Avra Estiatorio is a Greek restaurant in Midtown, Manhattan that specializes in serving the freshest fish possible in a unique Mediterranean atmosphere. This website incorporates the open feel of the restaurant with a large image background and narrow content area, as well as incorporating Mediterranean and rustic colors that feel warm and inviting. 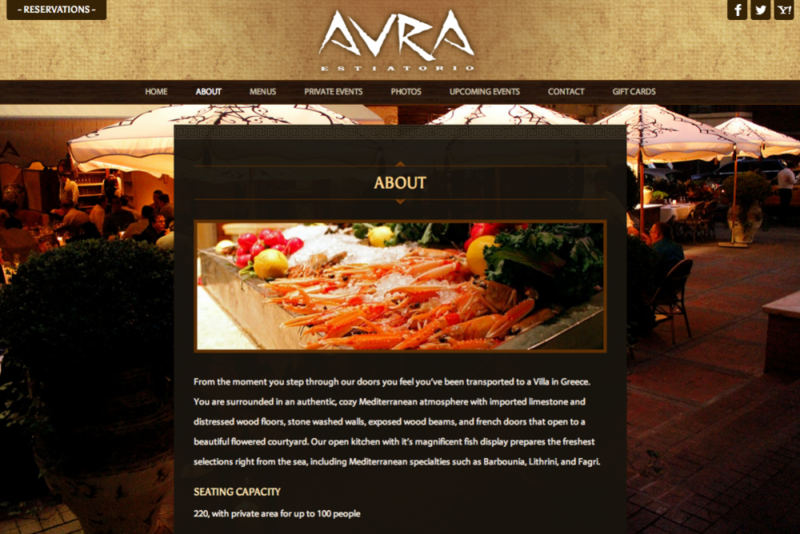 Avra’s new website is built on the WordPress CMS to easily maintain content and improve overall usability.